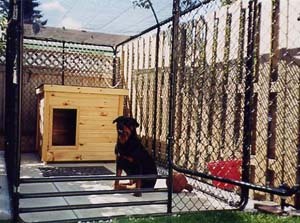 Police Dog Houses is pleased to acknowledge the hard work and finished dog houses of various organizations such as 4H Groups, Girl Scouts, Boy Scouts, FFA, schools, and other groups of people that have used our K9 Law Enforcement Dog House Plans to construct a high quality dog house as their project. 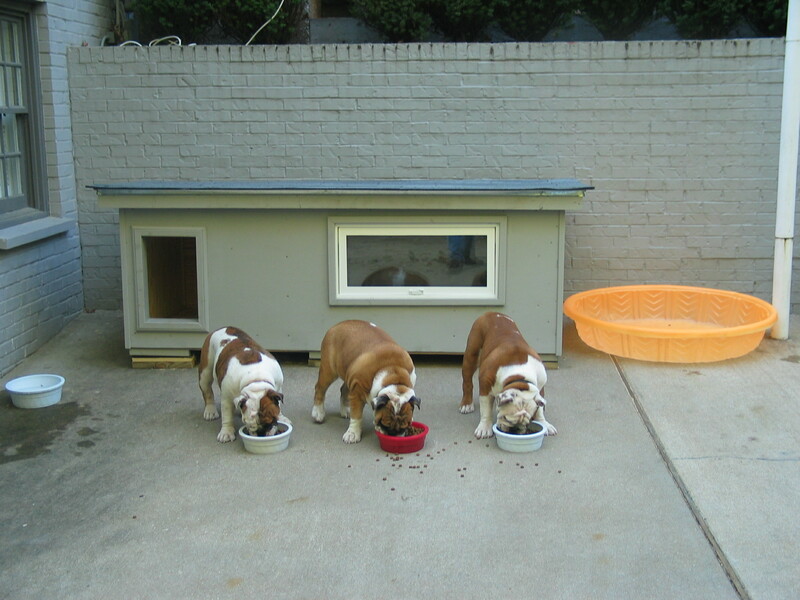 Please take a moment to view these pictures and read their stories. We are very proud of these young people and their efforts to help out their communities and organizations. 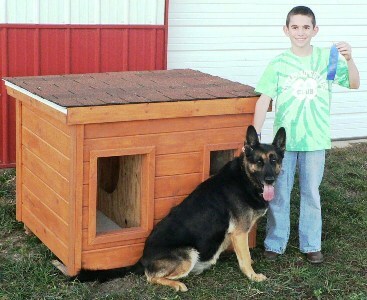 This is Hannah from Wisconsin who built this beautiful law enforcement dog house for her 4-H Project. Hannah won a blue ribbon at the county fair for her great accomplishment. 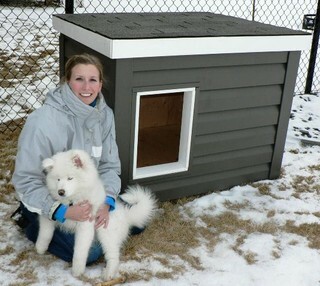 Hannah then donated the house to the local Humane Society which held a raffle for a fundraiser. 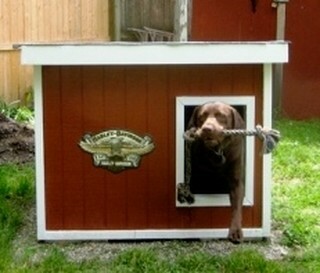 The winner was one lucky happy pup. 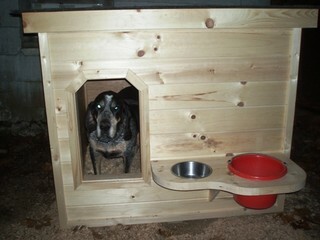 Congratulations Hannah on a job well done and in your kindness in donating this wonderful dog house for such a good cause. Job Well Done! 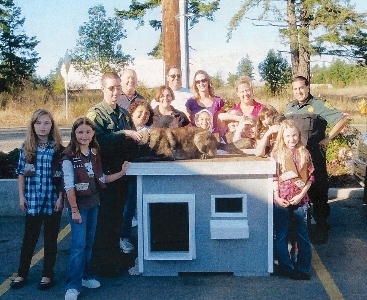 This Girl Scout Troop from Washington together with the help of a local building supplier was able to construct a beautiful Police Dog House for K-9 Rico. As you can see the Sheriff, Deputy, and K-9 Rico are thrilled with a job well done! 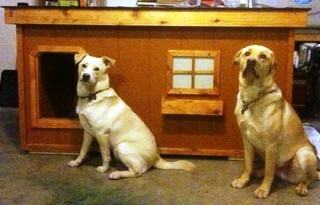 This is Tucker and his dog Prince from Wisconsin. Tucker is proudly holding up his blue ribbon that he earned by constructing a beautiful dog house using our K-9 Law Enforcement Dog House Plans as his 4H Project. 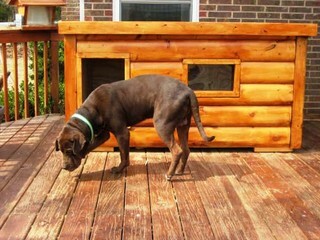 Prince loves his new home. Great Job Tucker! If you are an organization or a group such as the Girl Guides, Boy Scouts, FFA, 4H, etc. 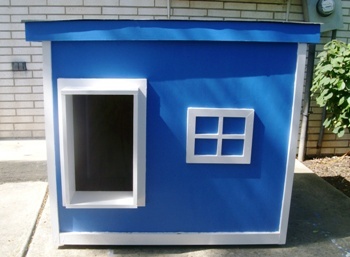 and have built or are going to build one of our K-9 Police dog houses using our law enforcement dog house plans, please feel free to forward your picture and a write up and we will be happy to post it here.